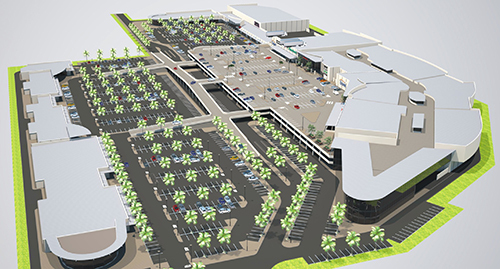 Description: Construction of the Dunes Mall, situated just off the Diaz circle, at the intersection of the airport and Swakopmund roads, in Walvis Bay, part of the greater Erongo region, Namibia. The shopping centre will comprise of 60 to 80 shops. The size of Dunes Mall, which will be the first phase of the Dunes mixed use district, is 30 000m². The project value is N$650 million.